Our world is rapidly changing; through this inevitable process, the world’s cultural legacy is fading and extraordinary knowledge is on the brink of being lost; therefore, it is important to encourage people to find pride in their cultural heritage and celebrate their individual diversity, for now and generations to come. 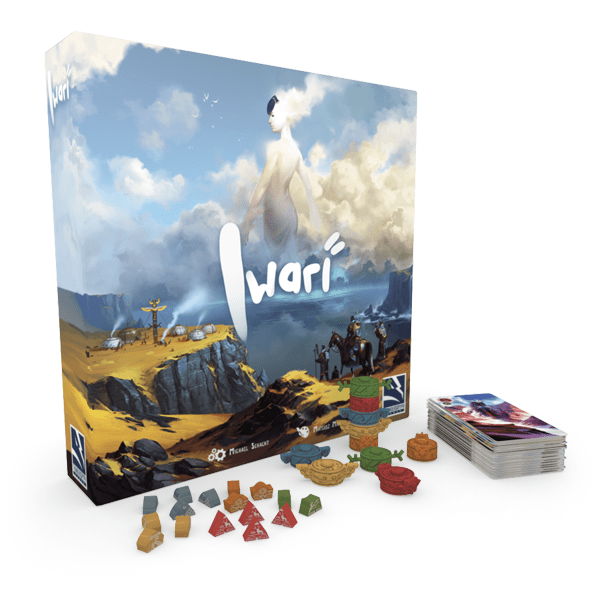 Gonzalo Aguirre Bisi, president of ThunderGryph Games states: “As the word in Yoruba suggests, Iwari is a game of discovery and diversity, where humanity is the protagonist in all its beauty. ThunderGryph is making a donation to the Jimmy Nelson Foundation for every copy of the game sold and for every subscription received in Iwari’s teaser website. Gretel, Policy and Communications Officer of the Jimmy Nelson Foundation: "For us at the Jimmy Nelson Foundation, having a collaboration with ThunderGryph Games is a great example of how cultural diversity can be empowered in different and creative ways; we cannot wait to celebrate humanity, adventure, and diversity, together with ThunderGryph Games and their newest game Iwari. We certainly hope that this is yet another catalyst to bring people together and form a basis of mutual respect and understanding for all humanity." On Iwari there are no teeming masses, no continent-wide civilizations. Humanity is in its infancy living in scattered tribes in a variety of forest, tundra, and desert environments. Tribes have left their ancestral homelands to explore these vast and uncharted regions, encountering other fellow tribes and exchanging knowledge, culture, and wisdom. ThunderGryph Games is still committed to planting a tree per each game sold since 2018 and will support the Jimmy Nelson Foundation with Iwari.